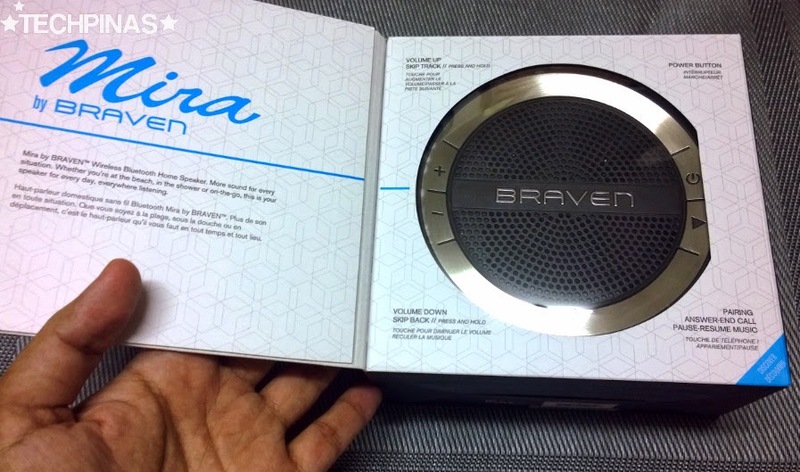 It's hard not to fall head over heels in love with Mira by Braven Bluetooth Water-Resistant HD speaker. 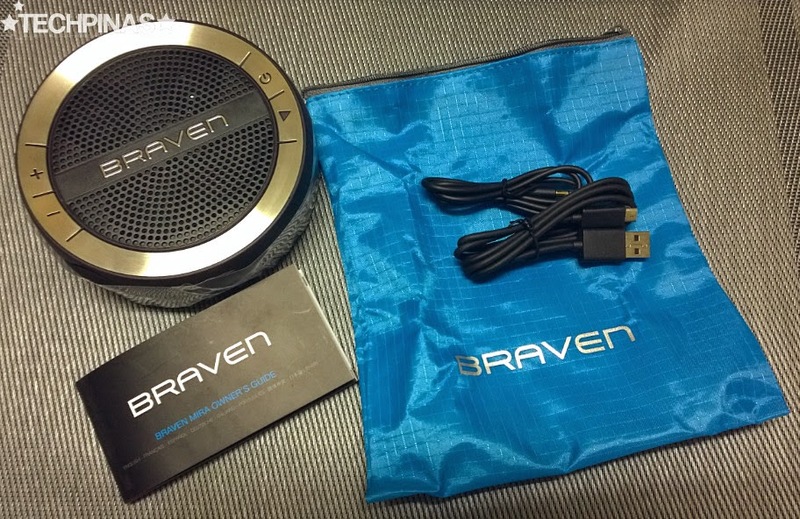 I mean it looks great; It's unique; It sounds amazing; You don't have to worry about it getting wet when you take it with you on extreme adventures or even while taking a shower; It's hip; And above all, it's very affordable. Seriously, as a Mira owner, I couldn't ask for more. 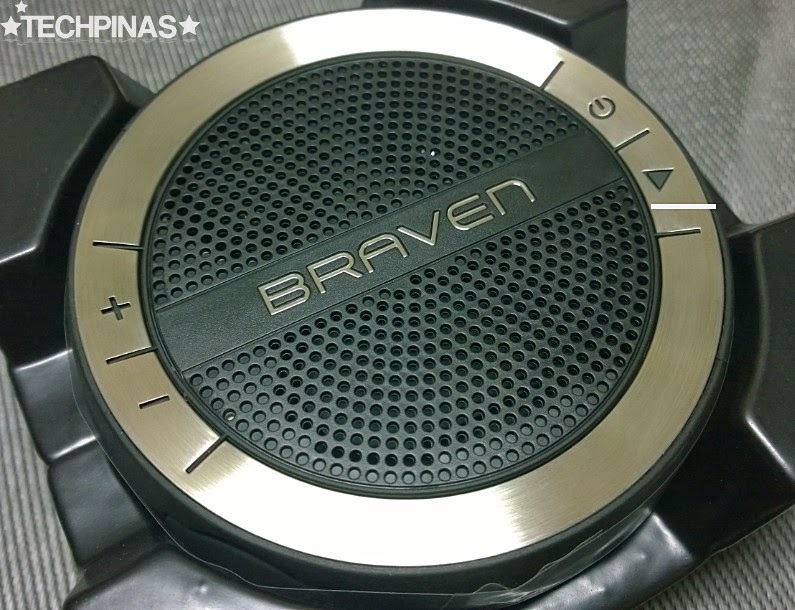 According to Braven, "[The circular] Mira that offers convenient portability, sophisticated style and outstanding sound quality. 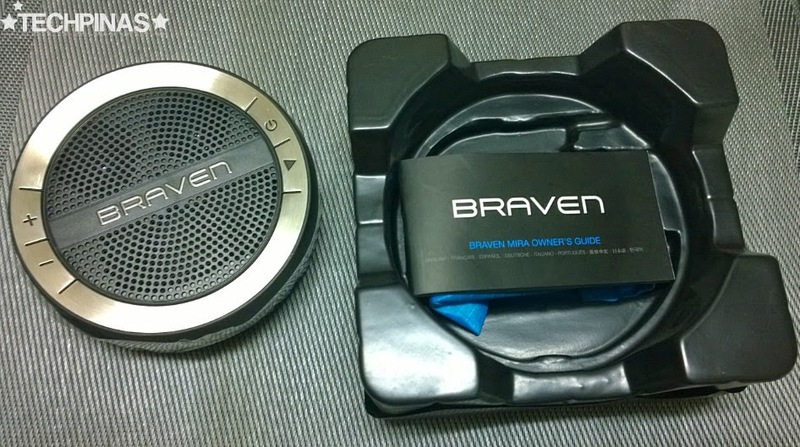 Designed with the entire household in mind, the Braven Mira is equipped with an integrated kickstand that doubles as a hook, giving users the flexibility of using it anywhere, including hanging in the garage, by the grill, on the deck, or even in the shower. 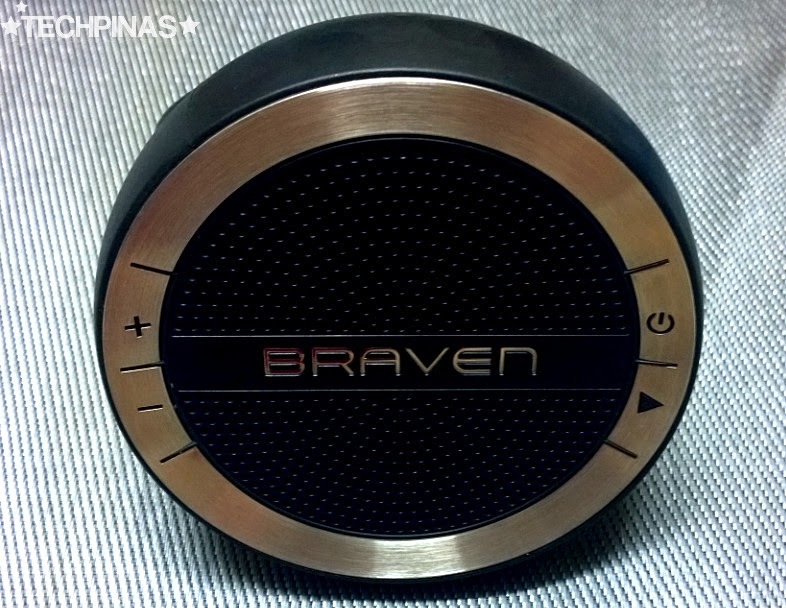 The ideal audio solution for any location, the Braven Mira showcases a contemporary design highlighted by clean lines and sleek curves, and is capable of playing over 10 hours of crisp audio. 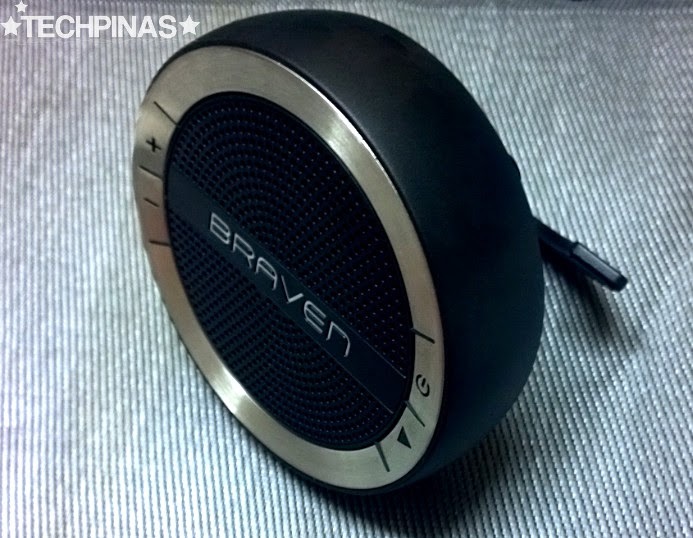 It is also IPX5 water-resistant rated, making it the perfect kitchen, boat, shower, pool or jacuzzi speaker." "Mira has the power to fill a room with outstanding sound, a design that makes it multifunctional, and an understated look that complements your decor," shared Mr. Andy Fathollahi, Chief Executive. "In simple terms, Mira embodies versatility and functionality." I like it because it makes the design product stand-out and look even more interesting. You can use Mira to play music or as a speaker phone. And it has an integrated stand that doubles as a hook allowing you to take it with you and use it in various settings; You can hang it on your shower head, door knob, or - uhm - even on a branch of a tree. The design of the box itself looks very elegant and high-end. 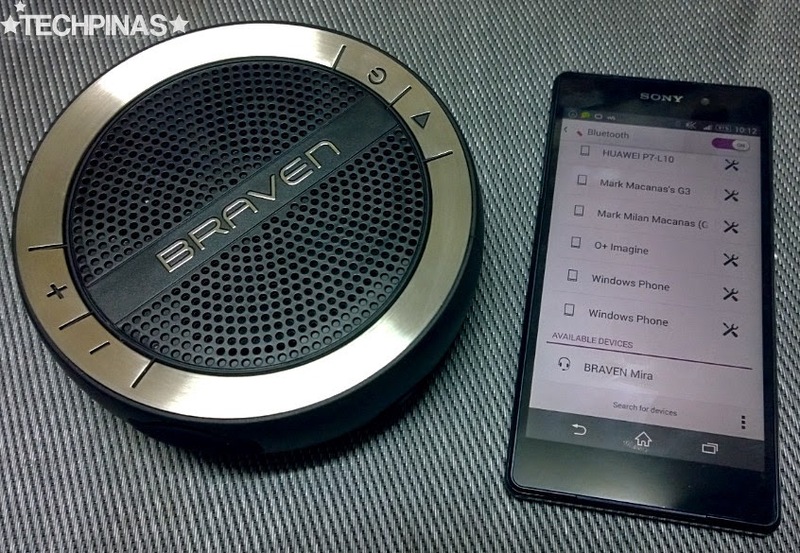 That's my Mira by Braven HD speaker! Handsome, right? The brushed metal plate in front definitely makes Mira look more elegant, sleek, and contemporary. I think this design is a classic that can go well in any modern interior set-up. 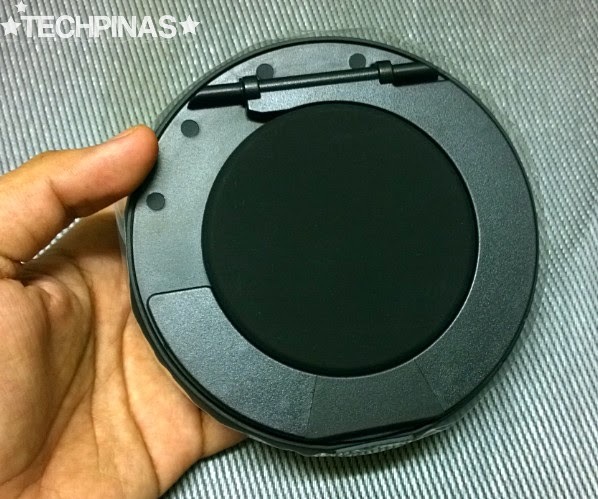 The ports are neatly hidden and protected against water damage underneath this rubber flap. Lifting Mira out of its tray, we'll see the other stuff included in the package. 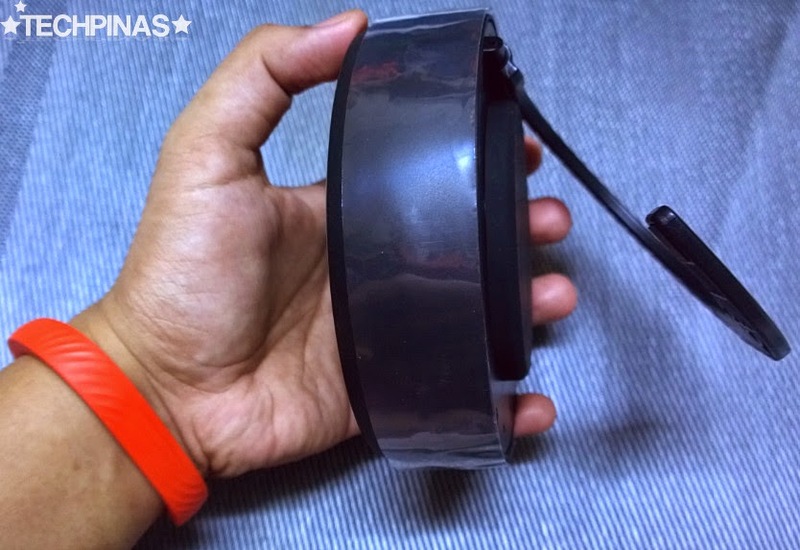 The complete retail package includes the unit itself, user manual, wire for connecting Mira to another speaker or non-Bluetooth devices, microUSB to USB cable for charging it, and a water-proof carrying case. 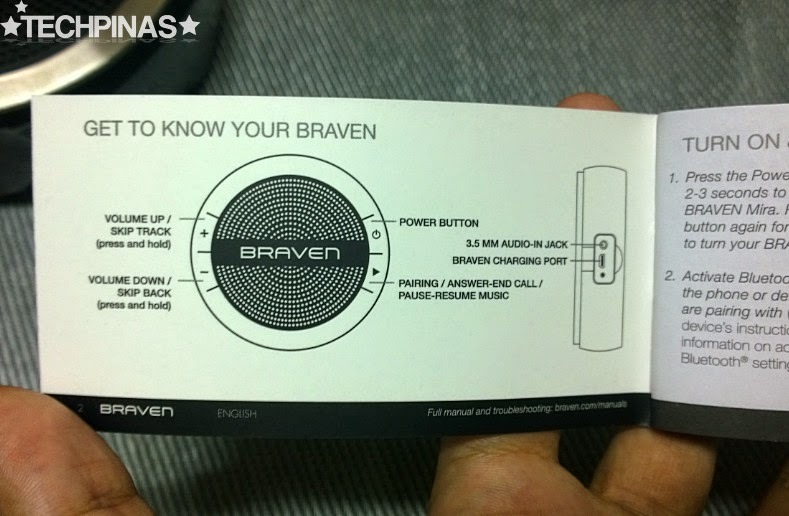 Mira by Braven has four clickable hardware buttons in front - three of which serve multiple functions. 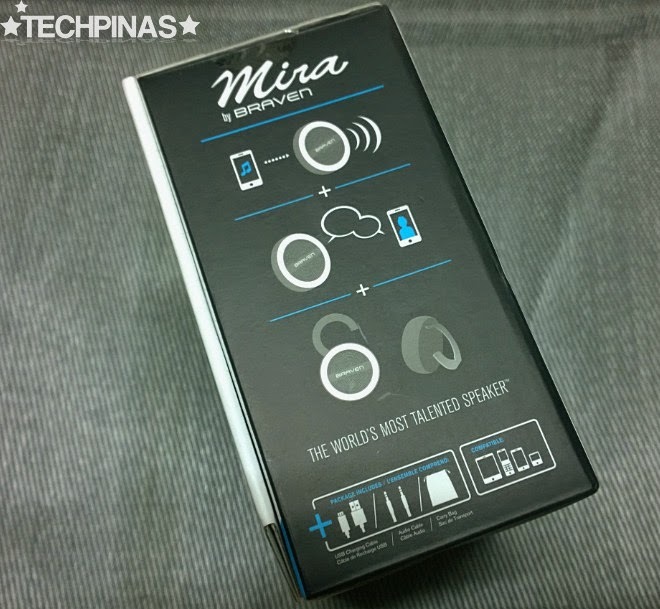 It's really easy to pair Mira with your smartphone. Simply turn it on and press the pairing button. 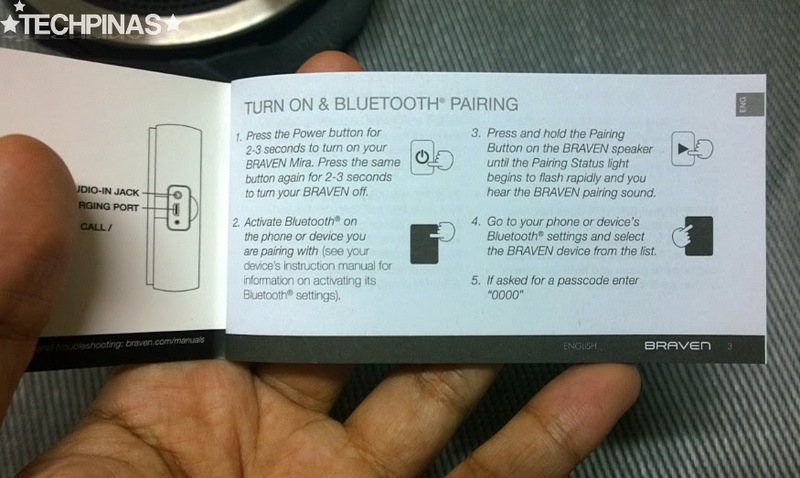 Then, go to your handset's settings, turn on Bluetooth, and look for BRAVEN Mira; Just on click to start pairing and you're good to go. This is the integrated stand that doubles as a hook. Pull it up completely and - as I've said - you can use it to hang the speaker on any knob. 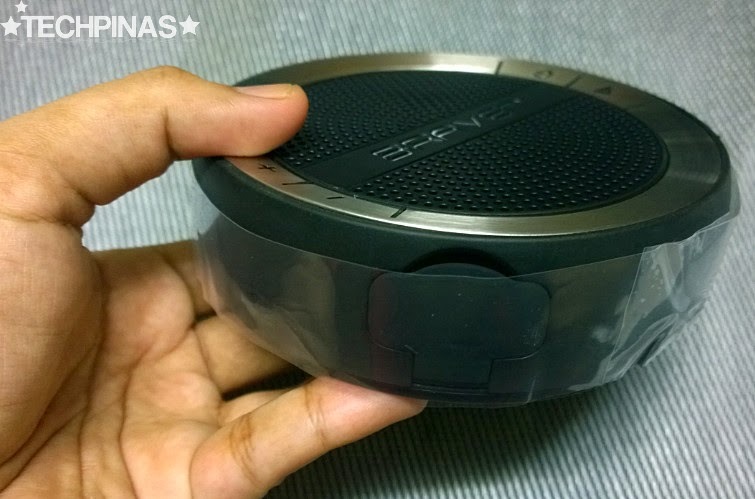 Or you can lift it partially to make the speaker stand. 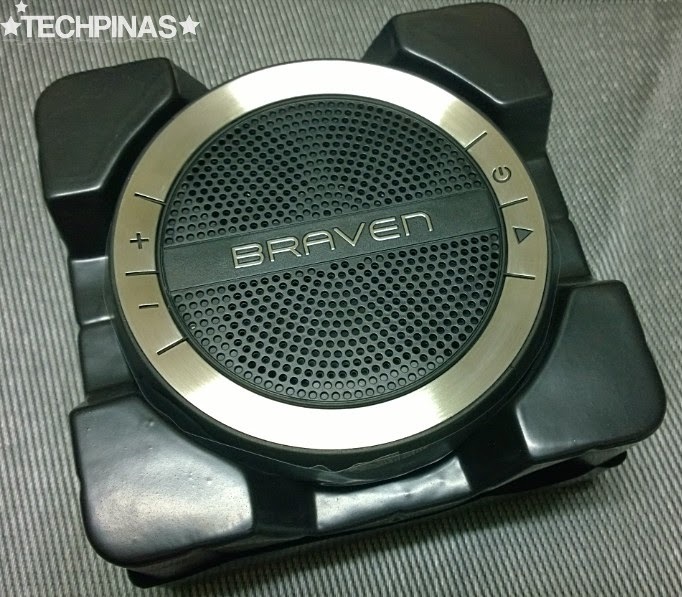 You can, of course, put the speaker flat on the table or make it stand like this -- either way, it looks great. I usually use it standing up like this to better project the sound to the direction I want. 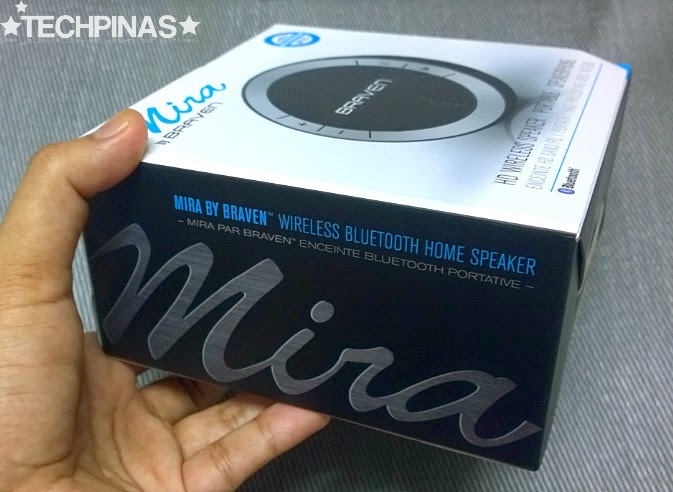 As for the sound quality, you can't really compare it with speakers that cost tens of thousands of pesos but for its price, Mira is more than good enough. Basses are solid and rambling - and they don't crack - while trebles and vocals are crystalline and bright. 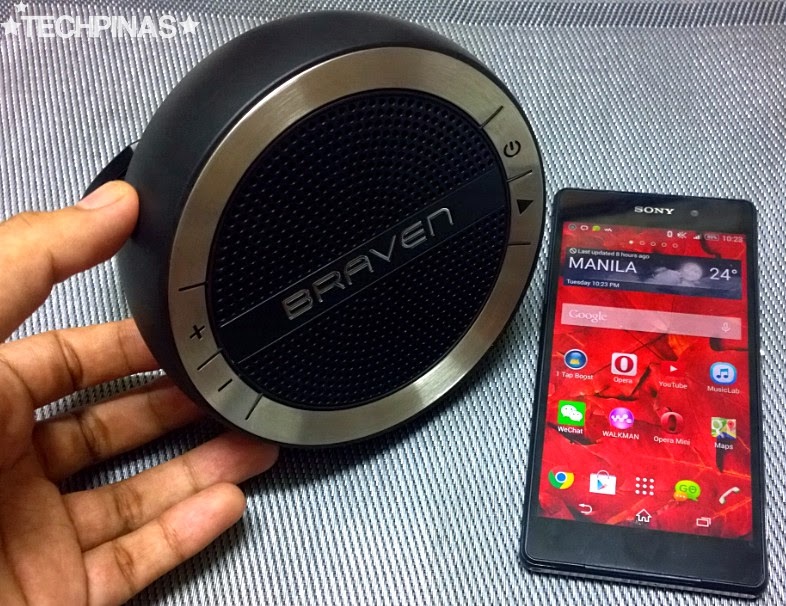 The BRAVEN Mira is now available in Black and Silver for only Php 4,450. 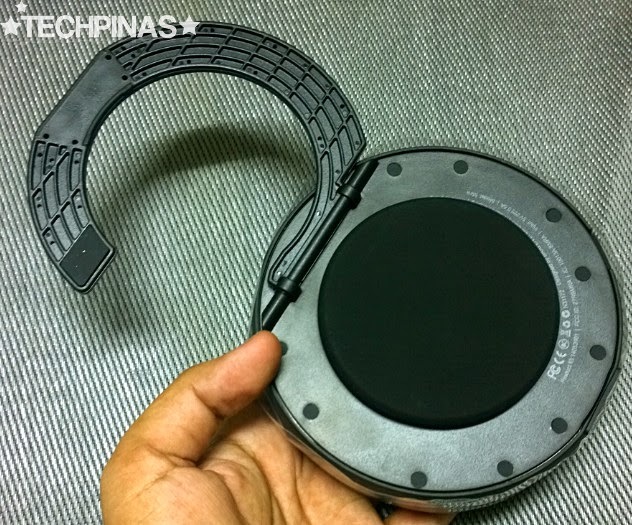 It has a rechargeable battery that - on full charge - delivers up to 10 hours of continuous playtime, comes with a built-in noise cancelling microphone for hands free use and is equipped with a 3.5 mm line in AUX port for non-Bluetooth devices. Mira will also be available in additional colors, including Light Blue, Light Pink and a Primary color combo option ideal for children’s rooms, in the coming weeks. 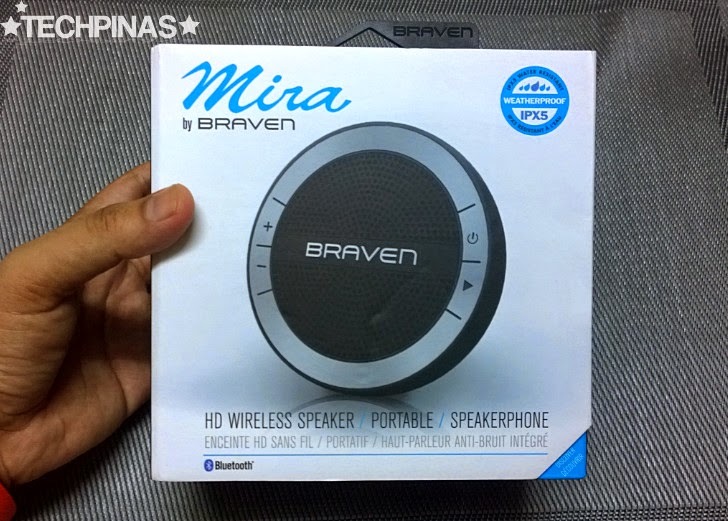 In the Philippines, you can purchase Mira by BRAVEN at the following retail outlets: Astroplus, Astrovision, Base Kamp, Digital Walker, BCG Computers, Beyond the Box, Digital Arena, Digital Hub, District 32, Microstation, iCenter, iGig, iStudio, iStore, Mobile 1, Odyssey, Quicksound, ROX, SM Music and Video, Stoked Inc., Switch, Technoholics, The Inbox Store, iBook, and BZB Gadget Hive.